Create your own Dell A960 inkjet pack / bundle with our flexible quantity discount pricing. Mix and match products so you are only purchasing what you need, but also maximizing your savings. Remanufactured Color Ink Cartridge with 450 page yield. Equivalent to Dell part number(s): 7Y745, C898T, 310-4633, 310-3541, X0504, Series 2 Color. Fits the following model(s): Dell A960, Dell 960. Remanufactured Black Ink Cartridge with 600 page yield. Equivalent to Dell part number(s): 7Y743, C896T, 310-3540, 310-4631, X0502, Series 2 Black. Fits the following model(s): Dell A960, Dell 960. Buy our high quality compatible ink for Dell A960 with confidence. Join thousands of happy customers who have found our compatible products are equivalent in page yield and print quality. For our compatible products, we offer a 100% Satisfaction Guarantee allowing you to return products within 6 months if you are unsatisfied. The Dell A960 and 960 are two names for the same model of personal printer that offers cost-efficient multifunction capabilities. One of the A960's few setbacks is its slow print speeds of only 17 pages per minute for monochrome documents and 12 pages per minute for color. 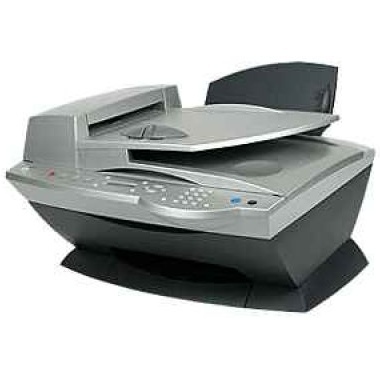 However, this color inkjet unit has additional scan, copy and fax functions and a decent range of features that make up for its speeds and limited connectivity. The unit comes with an intuitive control panel that provides access to features for each function, including a keypad that can dial fax numbers and buttons capable of changing the number of copies needed for a project. 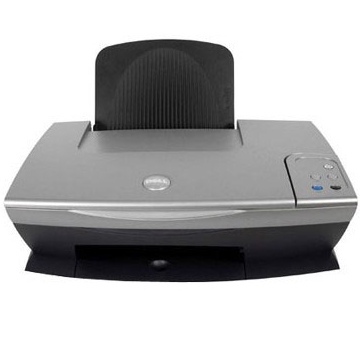 The device also comes with an LCD for status alerts on jobs and a 50-sheet automatic document feeder that can scan multiple-page documents quickly. The device is limited on a handful of features, including a maximum media capacity of only 100 pages that is best suited to handle low printing volumes. Also, the A960 only includes a USB port for connectivity, omitting direct photo printing slots for media cards that are typical fixtures in modern personal inkjet printers. Text and graphics output tested on par according to expert reviews, printing with slightly blurred lines and characters in only a few cases. Photos have enough detail to allow users to print personal images at home with a maximum resolution of 4800x1200 dpi using color Dell A960 printer ink. Using two Dell A960 ink cartridges that can yield only 450 pages for color documents and 600 pages for monochrome, this device is intended for light-duty use. With available remanufactured replacement Dell A960 printer ink cartridges, users can purchase supplies that are more affordable than OEM supplies. In terms of its bundle of features, this all-in-one printer is well equipped compared to average units in its price range. However, it suffers from slow speeds and lack of connectivity options that may have buyers seeking a more versatile device that offers better performance.